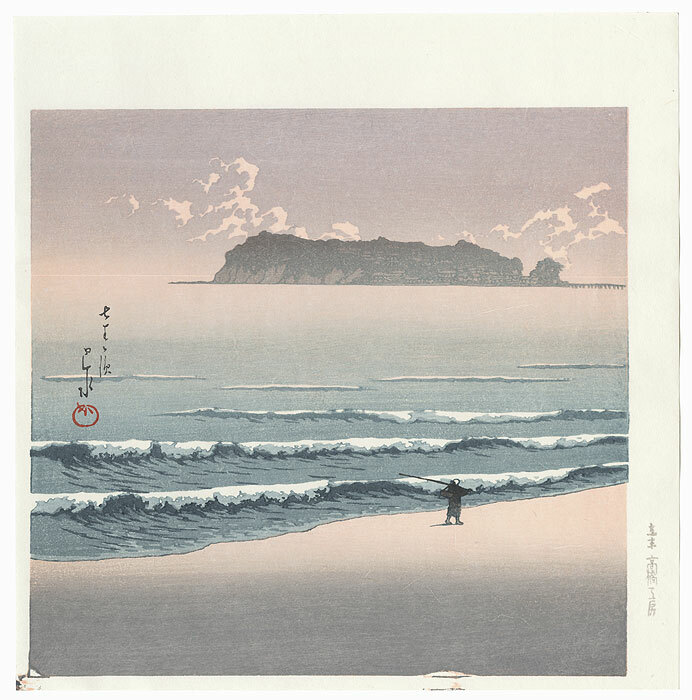 Shichirigahama - Lovely view of the famous Shichirigahama or Seven Ri Beach. 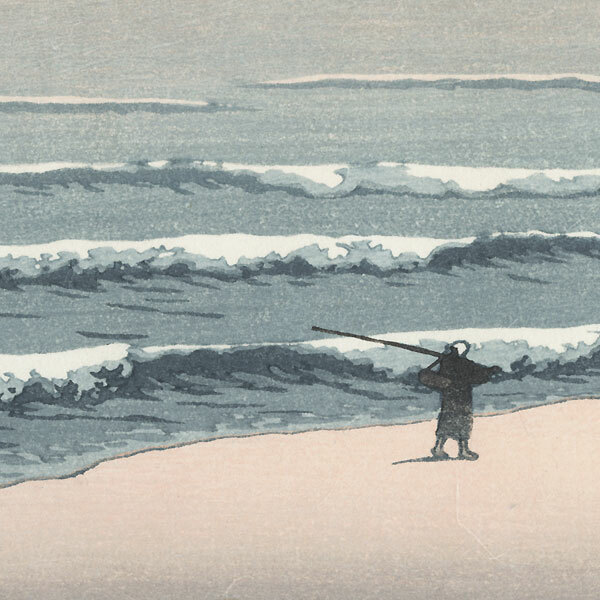 A lone fisherman makes his way along the beach, carrying a fishing pole over his shoulder as rows white-capped waves wash ashore. 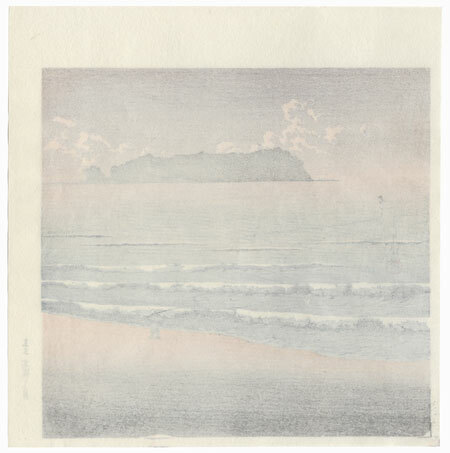 The island of Enoshima dominates the horizon in soft gray, with a warm peach and lavender glow spreading across the sky. A beautiful design with fantastic bokashi shading and sophisticated color.